This entry was posted in adsussing. Bookmark the permalink. 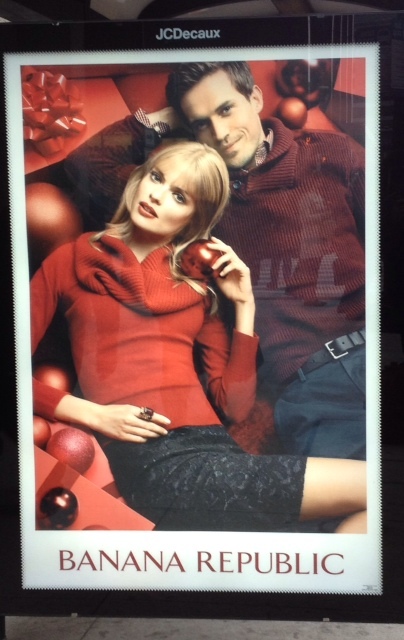 It says to me “if you are, or aspire to be part of, a conventional pair-bonded couple who measures worth in possessions and perceived status, shop at our store.” Also, this is obviously a national campaign, because what woman in Chicago wears a short skirt and bare legs in January? Maybe the ad was heated?